It's not every day the NYT runs a full-page ad--and a story reporting on it. 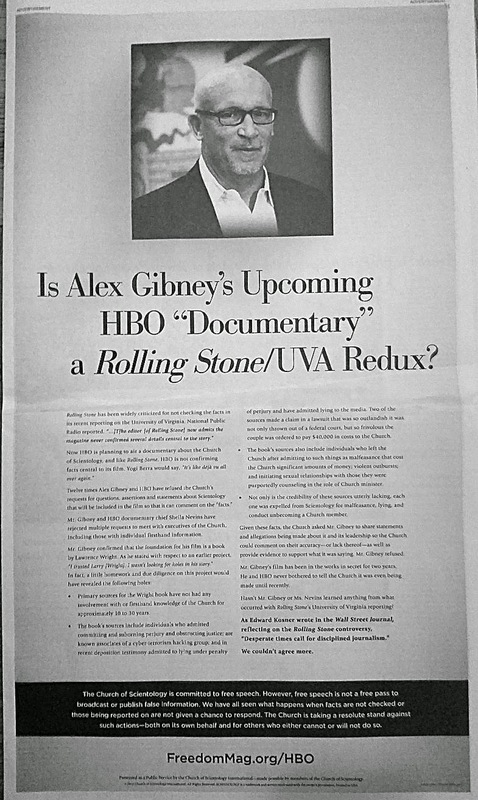 Today this happens re: a response by Scientology to the upcoming and much-awaited Alex Gibney film. See Times story and another here (which first published the ad itself, see below).